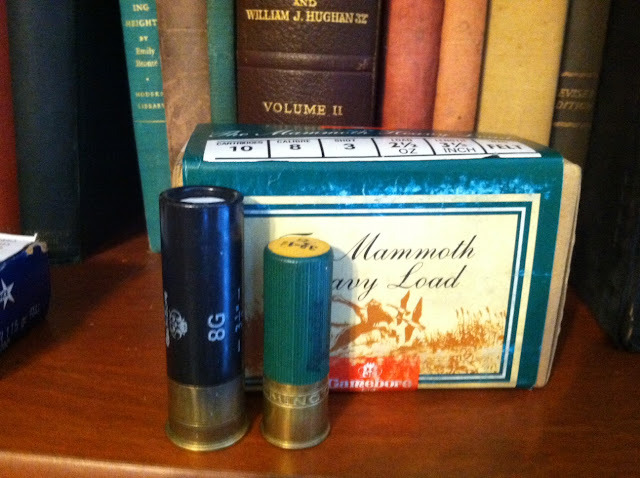 Thanks to The Old Western Scrounger, a great source for ammo collectors! 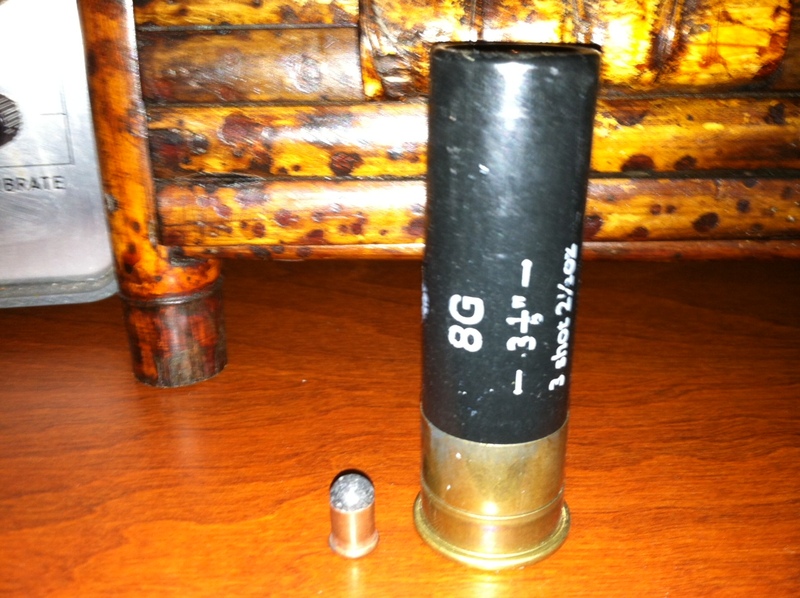 That's a 12 gauge Remington Beside it! 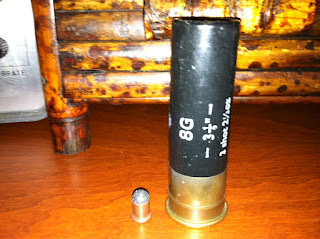 And beside another find a German 7mm BB cap the smallest cartridge I've found yet! Now if I can just find a gun to go with them! Appropriately named "Mammoth Heavy Load"
You wouldn't be interested in selling a couple of the shells would you? I have a single barrel 8 gauge that came to me after my uncle passed away. I's just like to have something to show my friends.